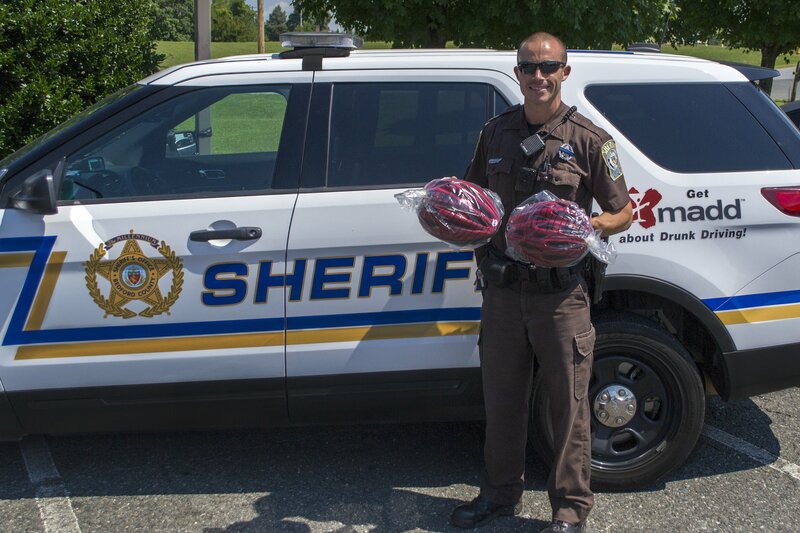 The Bedford County Sheriff’s Office, in conjunction with their Bike Rodeo for Kids in June, is taking their concerns for our children’s’ safety one step further by donating bike helmets to young children around the county…at no charge. 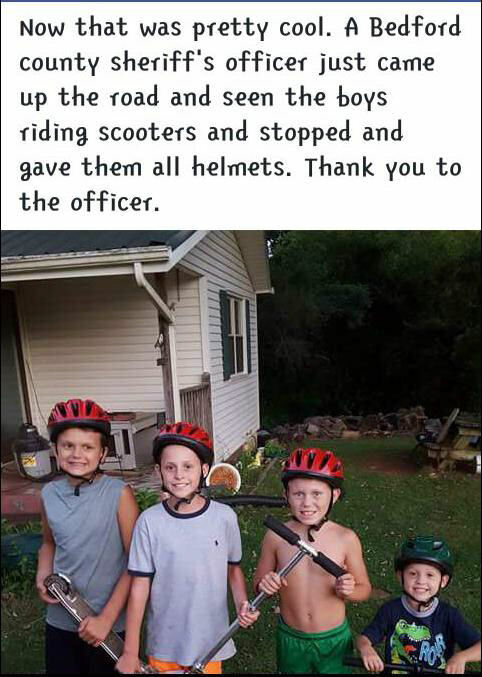 Each deputy has several helmets in their car specifically for presentation to young children throughout the county, should a deputy observe them riding their bike without head protection. Our deputies have given away a number of these bike helmets in hopes that these young children will continue on the path to observing and adhering to the safety rules that are designed to keep them safe and injury free. The sheriff’s office Bike Rodeo was supported by these fine county businesses: Centra’s Bedford Memorial Hospital, Upper Crust, Bedford Community Health Foundation, Blackwater Bike Shop, Bank of the James, Updike Funeral Home, Select Bank, Farm Bureau Insurance, Walmart and the Safe Surfin’ Foundation. The Bedford Town Police supplied bike instructors and other personnel that made the Bike Rodeo for Kids a great success.